True tales of swashbuckling adventure, murder, treachery, and mayhem!One would be mistaken to think of pirates as roaming only the Caribbean. 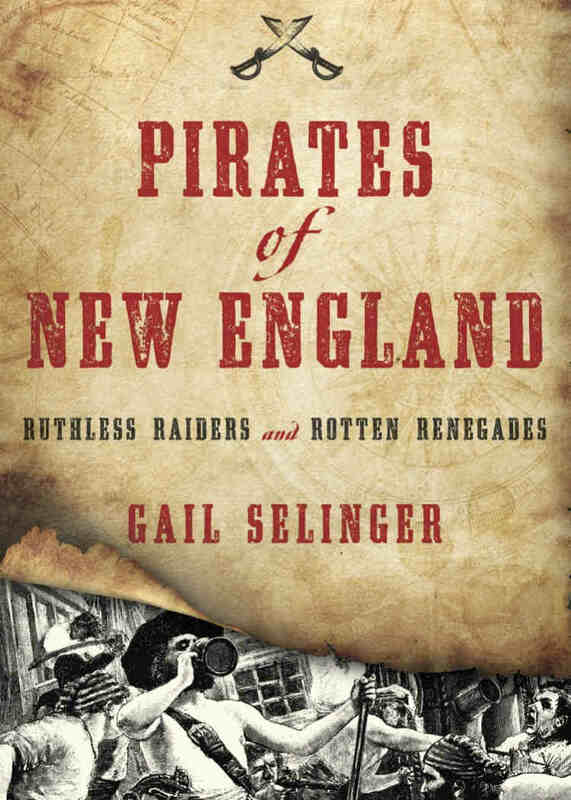 Pirates as famous as William Kidd and Henry Every have at various times plundered, pillaged, and murdered their way up and down the New England seaboard, striking fear among local merchants and incurring the wrath of colonel authorities.Piracy historian Gail Selinger brings these tales of mayhem and villainy to life while also exploring why New England became such a breeding ground for high seas crime and how the view of piracy changed over time, from winking toleration to brutal crackdown. Included in this volume are:Ned Low’s sadistic–at times cannibalistic-reign of terror on the high seas and his mysterious disappearance.John Quelch’s defiant and unapologetic proclamation before being hanged in front of a Boston crowd.Henry Every’s daring attack on the Grand Mogul’s fleet, widely considered the largest maritime heist in history.Pirates of New England opens up new chapters in the history of piracy, ones that you’ll come back to again and again-Welcome Aboard! Cindy Vallar, pirate historian and author. 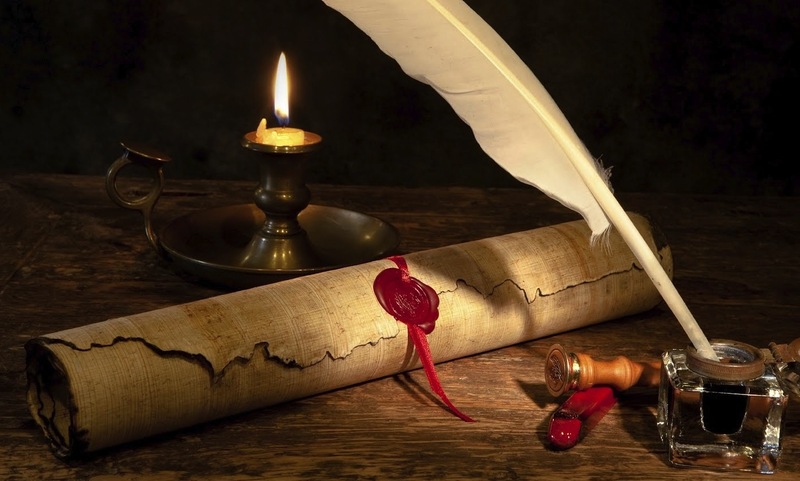 Some pirates, such as Black Sam Bellamy, are well-known while others, such as Thomas Pound, rarely garner mention, but Selinger examines these and many other nefarious rogues associated with New England between the late sixteenth and early eighteenth centuries. She opens with a short history of piracy before tackling the questions of why men went “on the account” and why this way of life enticed so many to violate the law. This helps readers to comprehend the historical context of the period. This volume’s particular focus is on New England, a region comprised of today’s states of Connecticut, Maine, Massachusetts, New Hampshire, Rhode Island, and Vermont. Many who lived in these areas often failed to differentiate between pirates, smugglers, and privateers. All provided goods at reasonable prices without encumbering the products with the heavy taxes imposed by Great Britain. This fact is explored both politically and economically as Selinger discusses the Pirate Round, a trade route between the Western Atlantic and the pirate haven of Madagascar. The remaining ten chapters explore individual pirate. In addition to the previously mentioned brigands, readers learn about Dixie Bull, John Rhoades, Jurriaen Aernouts, Peter Roderigo, Thomas Hawkins, Thomas Tew and Governor Benjamin Fletcher, Henry Every, William Kidd, John Quelch, Paulsgrave Williams, George Lowther, John Massey, Charles Harris, Ned Low, Francis Spriggs, and William Fly. To better understand just how perilous this period is, Selinger provides a list of some of the wars fought between various European nations – many of which spilled into the Caribbean and New England. She also provides information on wages, cost of living, and pirate booty in an attempt to answer the oft-asked question of “How much is a pirate treasure worth today?” To best contrast the allure of pirate life with that of the common man, she provides lists of earnings for various legal seaman and costs for particular items of daily life. Aside from the bibliography, a few black-and-white illustrations, and an index, two appendices are included. The first is a complete roster of the men and boys who sailed aboard Captain Kidd’s Adventure Galley. The second gives the names and fates, if known, for pirates who are rarely or never mentioned in other books on this subject. The only drawback in that no footnotes are provided to identify the source of some information; this may be more bothersome to anyone wishing to delve further into the history rather than just those seeking good background on New England’s connections with piracy. Aside from three pages in the chapter on William Fly, where firing of guns and who’s who on the gun crew are discussed in detail, Pirates of New England is a worthy introduction to and summary of piracy as it relates to this specific area of the New World. Many other titles only provide known facts about pirates before and during their escapades, but Selinger makes certain to include what happens after they either cease their marauding or are captured. Nautical language is always explained within parentheses, which makes it easy to understand word (s) in context. Overall Pirates of New England is a compelling, fast read filled with interesting tidbits for both readers unfamiliar with the subject and those with an insatiable appetite for all things piratical. Chart a course through the notorious history of piracy! 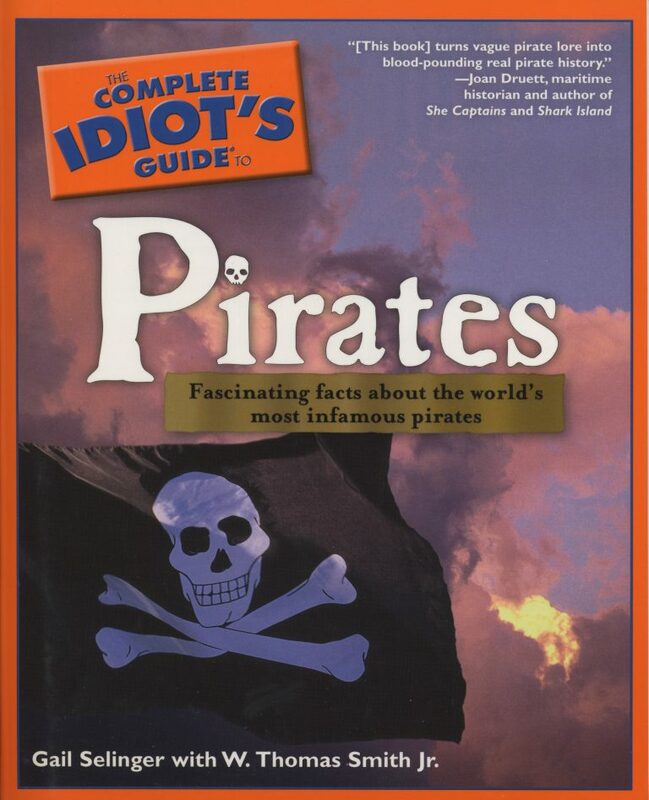 The Complete Idiot’s Guide® to PiratesChart a course through the notorious history of piracy!You’re no idiot, of course. Everything about pirates fascinates you: the ships, the battles, and the legendary booty. But when you search for true stories about these swashbuckling rebels, you feel like you’re lost at sea…Don’t get swept away on a wave of confusion! The Complete Idiot’s Guide® to Pirates introduces you to the world’s most notorious pirates and their high-seas travails. In this Complete Idiot’s Guide®, you thrill to:An intriguing look at the roles pirates play in popular culture and throughout history.Detailed accounts of pirate ships, weapons, and battles.The truth behind the myths of treasure and rollicking adventures.Facts about the daily life of pirates, o and off the ship.An eye-opening look at the modern-day pirates who raid oil tankers, cargo ships, and even cruise ships.The brotherhood of pirates.The exploits of the most notorious lady pirates.Famous battles and ships.The early pirates of the Mediterranean.Cities and islands that were pirate havens.Piracy in and around the British Isles.The history of the buccaneers.Who’s who in a pirate crew.The infamous pirate Blackbeard’s last betrayal.The fighting ships of the Knights of Malta. “Gail Selinger is one of the best writers. She makes non-fiction seem like fiction. This book was extremely interesting and discussed things that I had never heard of although I have studied pirates for years.”…. 17 author’s tales of dating those not truly human. “With Admiration” – It’s just a date, what could go wrong? 14 author’s original tales that bring new life to old toys with magical consequences. “Jack Tar” – What if a beloved toy could save a life? “Trouble in Disguise” – Can a daring gamble for survival bring happiness? 17 author’s tales using the most common weapon of war. “The Devil’s Blade” – Evil and greed can be a deadly combination.